A fire alarm system has a printer interface. These prints all essential information. 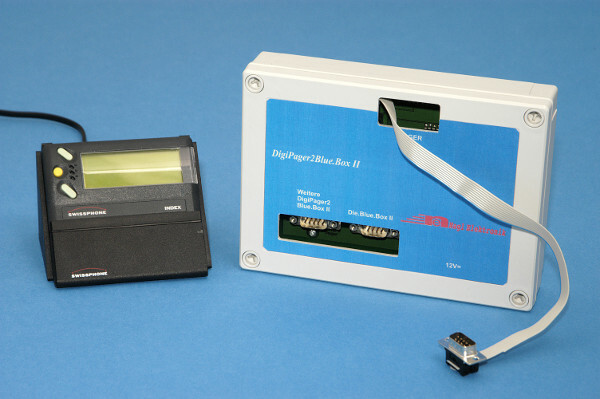 The SerialData-to-BlueBox takes this data and transfers it to The.Blue.Box-II. 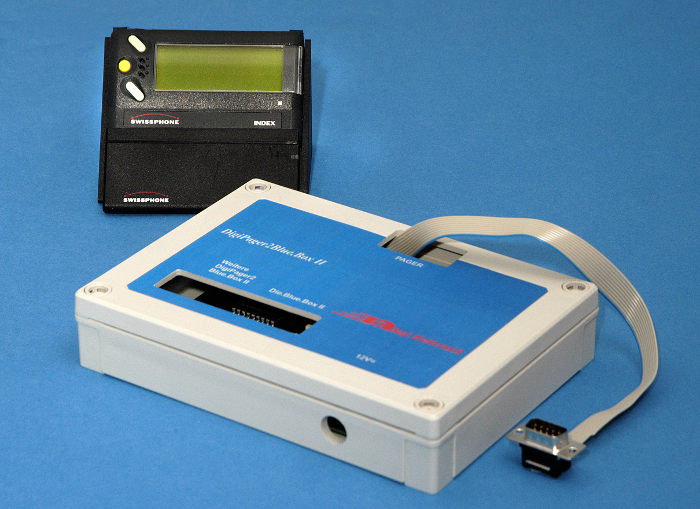 A digital pager in a charging dock (with RS232 output) is connected to the SerialData-to-BlueBox. 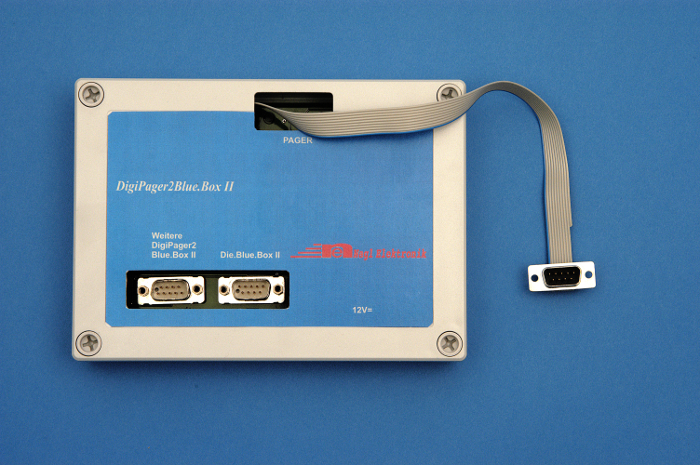 The text will transferred to The.Blue.Box-II.